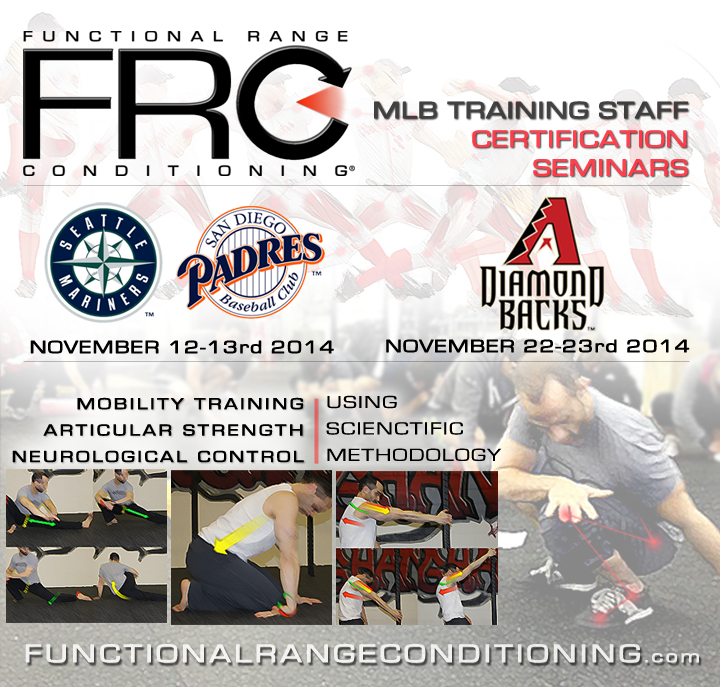 For the past few years Functional Anatomy Seminars has been fortunate enough to work with the medical staffs of several MLB organizations certifying them in the Functional Range Release (FR)® tissue management system. We are now excited to announce that we will be working with the training staff of several of them certifying them in the Functional Range Conditioning (FRC)® system. We believe that with the addition of FRC® methodology, we can make major improvements in the overall movement, mobility, and agility capabilities of their players, as well as address some of the ongoing issues with injury prevention of commonly aquired soft tissue injuries in Baseball.